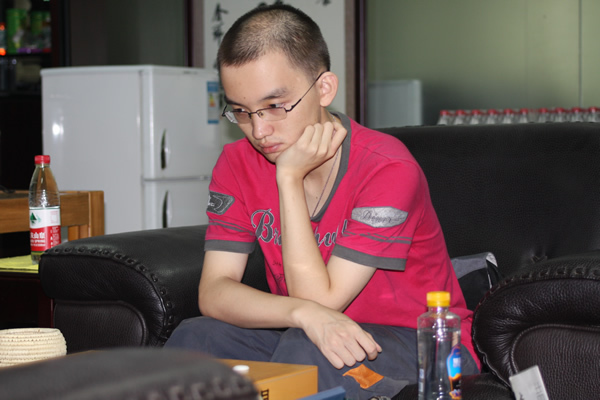 Li3 zhe2 (李喆, 李哲 ), chinese professional born on 31 January 1989. In Chinese ranking (as of April 2011), Li ranked #3. The World Mind Sports Games lists his name as 李喆 in its list of participants from China. http://goigoweiqibaduk.blogspot.com/search/label/Asia%20TV shows his name as 李哲. His real name is 李喆, but some computer font packages don't include 喆, so it was replaced with 哲 which has the same pronunciation. John F. I think the correct version of his name is the other way round. It's a rare character, not in all fonts, and so the common form (with the same meaning) is often used. Alternatively it is sometimes written as two separate characters (ji and ji). Likewise with the names of Korean pros who use this character. Gillis : One interesting thing to note is that Li Zhe is one of those rare professionals that study in university while being a professional player. Right now hes studying Philosophy. My source is from a friend in China that in turn is a friend of Li Zhe. 李哲學哲學 seems a little too cute. Are you sure you understood what your friend was saying?